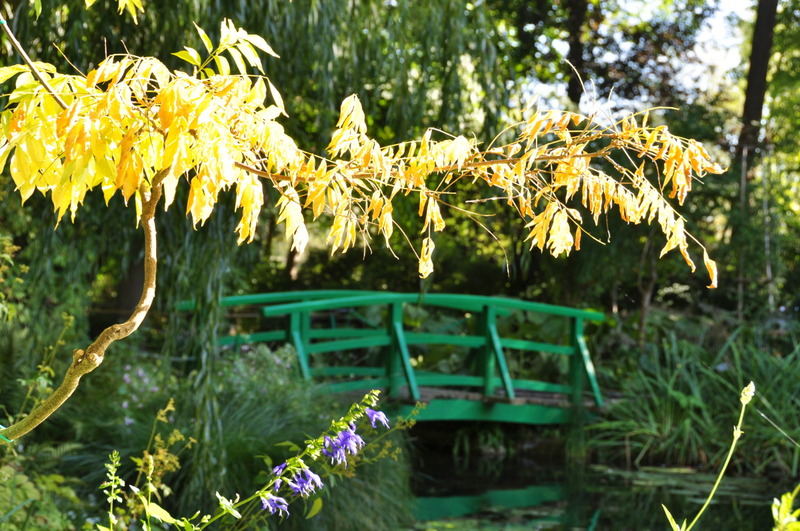 Two curved bridges face one another on both ends of Monet’s pond at Giverny. The big one is covered with wisterias, whereas the small one doesn’t have any. 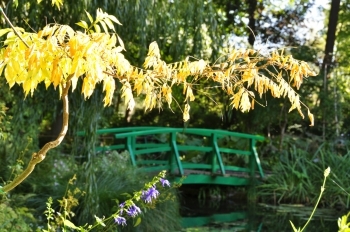 But a neighbouring wisteria can give the illusion that it is covering the little bridge too! Its golden color brightens all the greens around.